The hype train for Christopher Nolan’s latest project has been steaming away for a long, long time now and with that hype comes a ridiculous amount of expectation. Having built a reputation as a creator of films that explore philosophical themes in an interesting and accessible way with films like ‘The Prestige’ and ‘Inception’ being wonderfully put together films of both style and substance, the expectation for this to continue that theme was definitely very high. Of course, Nolan also helmed the recent Batman trilogy and has garnered a fanbase there for revitalising the superhero from the doldrums of the days of ‘Batman & Robin’, so the hype was high from every direction. 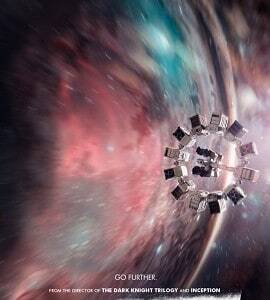 While it has been getting a generally positive but lukewarm reception from film critics, ‘Interstellar’ is ultimately a film that stuns and astonishes, giving us spectacle that needs to be seen on the biggest screen possible and emotional heft that really hits you, together with powerhouse performances from the likes of Matthew McConaughey and Anne Hathaway, and a brilliant turn from Mackenzie Foy, who is one of the most promising young actresses around. The film is a lot like a powerful symphony, with its dramatic, overwhelming peaks and mellow troughs, and is able to be both unbelievably huge and claustrophobic over the course of its gargantuan runtime. Nolan explores themes of family and the nature of humanity in ways that may be familiar to his fans as both are often present in his past works, but his exploration of just how far humanity is willing to go to prolong its existence here is a lot larger than those films, which makes everything about it that little bit more overt as the film wears everything on its sleeve in terms of its sentimental nature. Sure, this can at times be overstated and sometimes the epic nature of the film doesn’t quite match with its musings on life and humanity, but the film’s ambition and the scale of its achievements mean that the missteps, when they happen, are forgotten about just a few minutes later when the film overwhelms you once again with sheer spectacle. ‘Interstellar’ is by no means Nolan’s most intelligent film, and it isn’t his most narratively structured either, nothing like as tight as films like ‘Memento’ and ‘The Prestige’ which are precise, carefully created films that never waste a second of time, but it is definitely his most ambitious, and a film where he tries to go out of his comfort zone as much as he can. 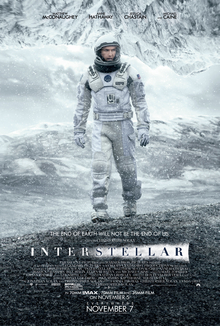 He’s been accused in the past of making cold films that are no more than puzzles to solve, but the heart of ‘Interstellar’ is not its scientific theory, for which Nolan acquired the services of theoretical physicist Kip Thorne to ensure it made some semblance of sense, but in the emotional resonance of the tale of a man torn between his family and the survival of his species and the emotional anguish this causes him, his family, and even his fellow astronauts. Sure, the film is an epic on a scale that is new even to Nolan, and what it achieves with that in terms of cinematic experience really stays with you after the film is finished, but the way it clambers over its holes and the odd bit of clunky dialogue is the emotional resonance that it manages to create. It’s a flawed film, but an extraordinary and affecting one nevertheless.